When attending a funeral service, it’s customary to bring some flowers with you or send them to the home of the family left behind. Flowers are a way to show support to the loved ones and honor the life of the deceased. It can be a wonderful form of comfort to the bereaved. For help expressing the right sentiment, consider the symbolic meaning of a few of the most popular funeral flowers. The white lily is a mainstay in funeral homes. The white of the flower symbolizes purity and innocence, which reflects on the new state of the soul after passing. Just like white lilies, white carnations reflect on innocence and pure love. If the deceased was a Christian, pink flowers are a sentimental choice. 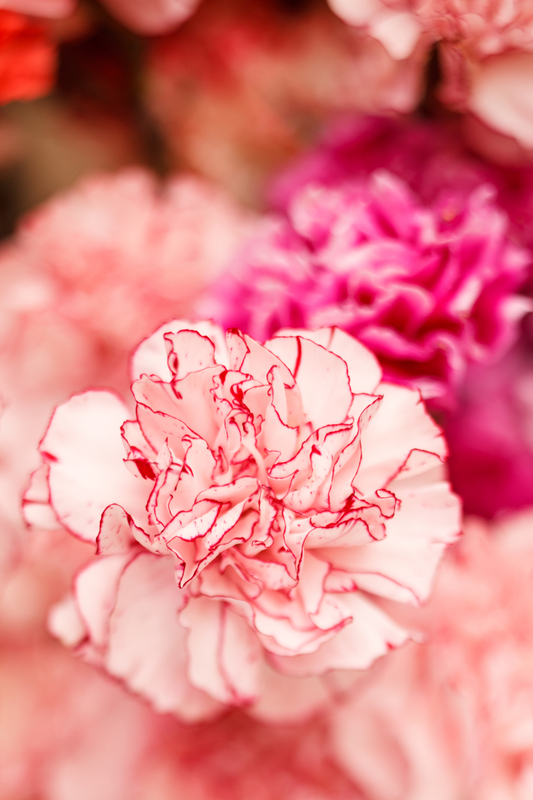 It is believed that pink carnations grew on the tomb of the Virgin Mary, so these flowers symbolize remembrance. Each color rose has its own meaning. Because red is typically associated with romance, this is a color you’ll want to stay away from. Look instead for yellow, white, or pink. Yellow symbolizes friendship, so it can be a way to show your appreciation for your relationship with them or reinforce your support for the grieving. White symbolizes humility and innocence, while pink signifies grace and appreciation. If you want something that will last a little longer than your typical bouquet, pink and white orchids are appropriate for showing your sympathy. This is a way to demonstrate your ongoing love and support for the family, and the potted plant will be something they can appreciate for months. When the time comes to arrange a funeral for your own loved one, you need a team who will take care of you through the entire process. Fred D. Knapp & Son Funeral Home has been a part of the Greenwich, CT, community since 1846. This family-owned and locally run funeral home is committed to providing respectful and compassionate services that will properly honor your loved one and make this difficult time a little easier. Contact them online or call (203) 869-0315 to begin arranging a funeral. How Do I Choose Between Burial & Cremation?